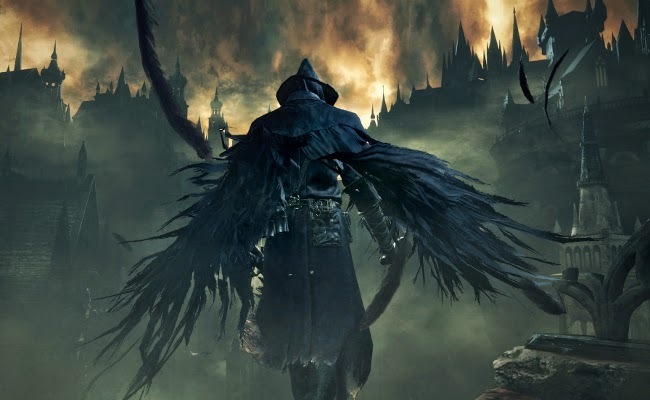 This week on PopMatters, I'm breaking a sweat with Bloodborne. It started off as a joke on Twitter, but there was actually a good mount of truth to it. I was getting supremely bored by Bloodborne's load times and I needed to do something to pass the time. Might as well get off the couch and channel my rage into some pushups. Video games are often compared to movies or sometimes plays. I think the best analogue for the Souls games and Bloodborne is exercise. Playing them requires a level of patience because the rewards are slow and hard-earned. You train to improve your technique and grind your way to more strength. Sometimes you make a dumb mistake that ends your set or loses you the game, but it's all in pursuit of a long-term achievement. You go through recurring cycles of actions and examine each step: Could I have been quicker here? Is this the right item? Am I remembering the proper attack routes? Even if you fail, you can see where things went wrong and work to be more mindful of them in the future. The meditative aspects of these games could fill up an entirely separate post. Until then, I'll be working on my upper body strength every time I die in Bloodborne. I can already feel myself getting sore. When I'm kickboxing, and there's definitely a level of self-checking and learning when I'm working out that's a similar experience to playing Souls games. There's something to this. You're a martial artist?! In that case, I need you to kickbox this damn mutant spider to death.